The holiday season is traditionally thought of as a time of joy, togetherness and giving. However, for many of us, this time of year can also be very taxing and stressful. The many pleasures of the season can often compete with the vastly increased demands on our time, our finances and our emotions. We are expected to plan and attend parties, make time for friends and family, shop through crowded malls to find the perfect gifts for our loved ones, and maintain a smile and positive attitude through it all. It’s no wonder that many of us may feel down and overwhelmed during the holiday months. Many of us find excuses to splurge during this season and may often be pulled in the direction of “overtures”: overeating, overdrinking, overspending and just generally overdoing. This can also lead to feelings of depression, even in people who don’t generally deal with depression or anxiety. If you already deal with clinical depression or anxiety, you may be even more vulnerable to the pressures of the season. Symptoms of stress can include headaches, insomnia, uneasiness, anxiety, sadness, intestinal problems and unnecessary conflict with family and friends. Some people may experience the holiday blues in the form of sadness, loneliness and anger. These feelings may be enhanced by unrealistic expectations for the holidays that then lead to a sense of disappointment. They can also arise from unhappy memories, perhaps from childhood, or by an awareness of everything that’s changed or stayed the same in our lives in the past year. Some general things to be attentive to during the holidays are your diet, your sleep, your time management and your emotional balance. If you were going to run a race, you would prepare for it. Similarly, it’s a good idea to prepare for the holidays. Here are some suggestions for preparing for and managing the holidays. Manage your time: There are many demands on your time during the holidays, such as shopping, cooking, traveling, attending parties and family get-togethers, sending cards, shopping, and wrapping presents. Create a to-do list and design a game plan. Rather than feeling overwhelmed by the vague sense that there are endless things to do, identify each task and break it down into manageable pieces. Remember, you don’t have to accept every invitation. Budget: Marketing campaigns would have you believe that spending money on gifts is the best way to show someone that you care about them. Truly, it’s not the cost of the gift, but the thoughtfulness of it that counts. A homemade gift can be even more valuable and significant than something store-bought. 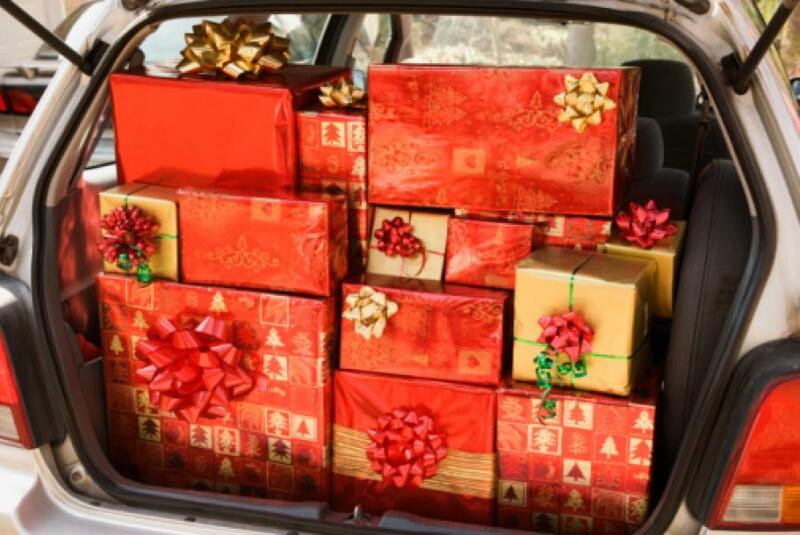 Set aside a fixed amount of money for gifts, and resist the urge to impulse-buy in stores. Ask friends and family what they want so you don’t end up spending money on something unwanted. Watch what you eat and drink: Exposure to comfort food and yummy treats greatly increases during the holidays. Rather than avoiding your favorites entirely, try to practice portion control. Fix a plate with small amounts of everything you want to try, and don’t go back for seconds and thirds. Alcohol can also be readily available throughout this season. Set drink limits or choose non-alcoholic beverage options. Drinking too much or too often can increase feelings of stress and depression. Take time for yourself. Make sure you are sleeping enough (at least 7 hours a night) and exercising regularly. It’s okay to not spend every waking minute with your relatives visiting from out of town. It’s okay to dedicate an hour or two to your own interests and hobbies. Be realistic: Manage your expectations for the holidays and for what you can and cannot reasonably do. Nothing is perfect. As families grow and change, the way that traditions are celebrated may also have to change. Try to be flexible and resilient to the inevitable occasions where something doesn’t go according to plan or as you imagined it.